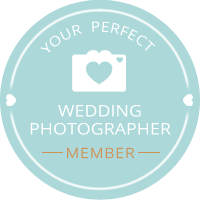 I had the pleasure of working with an amusing couple who had so much love for each other and who wanted to make their wedding a really small, fun and intimate day. Well, they really did it. What a fantastic day everyone had, from the small church to the beautiful garden of the couple’s fabulous new home in West Sussex. It was a fabulous sunny day – well almost all of the day – but despite the downpour of heavy rain the couple and the guests went from fun, to tears, to laughter and dancing through the night. It was a real pleasure to have been part of this couple’s special day and I enjoyed every minute; even getting soaked through seemed to be part of the fun. Really beautifully shot, Mike - great job, well done! Absolutely beautiful pictures Mike! Love the details shots and you have really brought out the intimacy and laughter in the other pics. Thank you Janet thats very kind. Beautiful! Well done Mike - really lovely bright and colourful images. Thanks Frances, Hope all good with you. Some beautiful images Michael. I love the 'kissing the bump' shot!